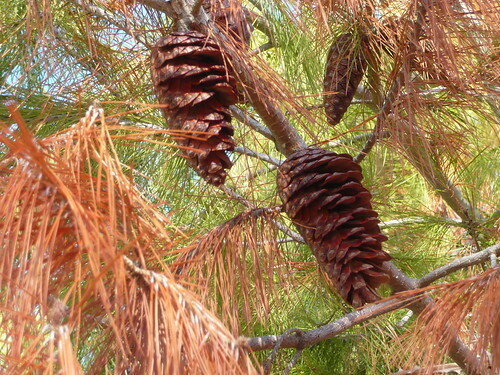 Conifers are not just for Christmas! For shape and colour a winter garden needs conifers. These conifers match our colour scheme and show up well in the winter garden. If you buy small conifers in pots they will give you years of pleasure. Be warned if they grow 10% a year they will double in size in 7 years and be 8 times the size in 20 years. From my experience many varieties grow at more than 10% per annum. 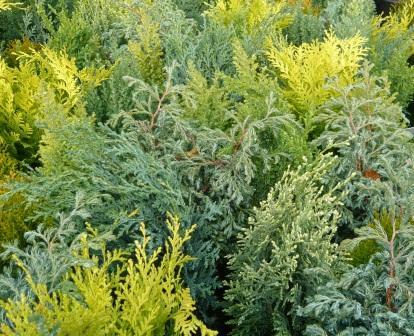 The prostrate grey-blue foliage junipers are my personal favourite and are slow growing. 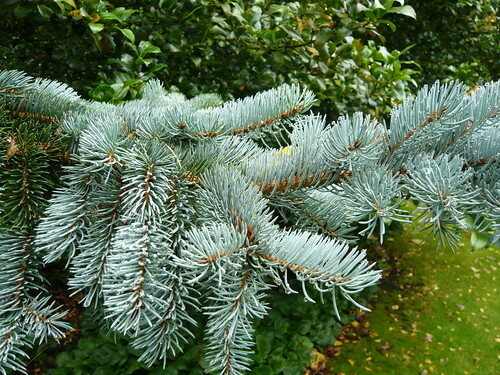 Check the plant variety and the label which will give you an idea of the ultimate height as the conifer becomes a tree. Many conifers are relatively shallow rooted – I have lot count of those that have been dug up when they grow too tall. 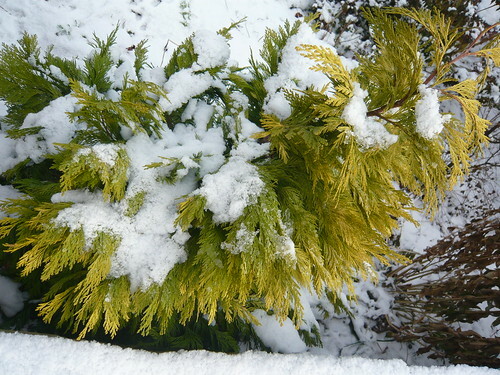 Do not let snow build up on your conifers as it will pull the branches out of shape never to return.